Whether buying or selling a home it is important to know the terms that are being used when a mortgage is involved so you don't end up under water. First and foremost the professionals you are working with should be telling you what these terms mean and what is the cost for you for the type of mortgage you choose. If you are not getting the answers you need then you are better off looking for someone else to assist you in the process. While these terms are not overly complicated, knowing them before you start your home sale or home purchase will save you some time. The early legwork in getting a pre-approval to know what you can afford or seeing what your mortgage payoff is so you know if you can pay off the mortgage upon sale are important steps. Mortgages are long term commitments that can affect your lifestyle for some time to come. By fully understanding the terms of your mortgage and the amounts you will be paying you will be in a better position in the long run. A mortgage whose interest rate can adjust during the payback period based on market interest rates. ARM loans usually have limits on how much the interest rate can adjust per year and the maximum amount an interest rate can be adjusted to over the lifetime of the loan. Is the paying off a debt (principal plus interest) in fixed payments over a set period of time. Often times you will be presented with an Amortization Schedule when you take out a loan. The Amortization Schedule details what part of each payment goes towards principal and what part goes towards interest. Typically a short term loan where the borrower is given money to pay for the construction of a new home. Payments are usually made on a schedule based on the percent the new construction home is built with final payment being given when the home can be occupied by the buyer. Construction loans must be refinanced into a traditional mortgage or sometimes automatically convert to a traditional mortgage. 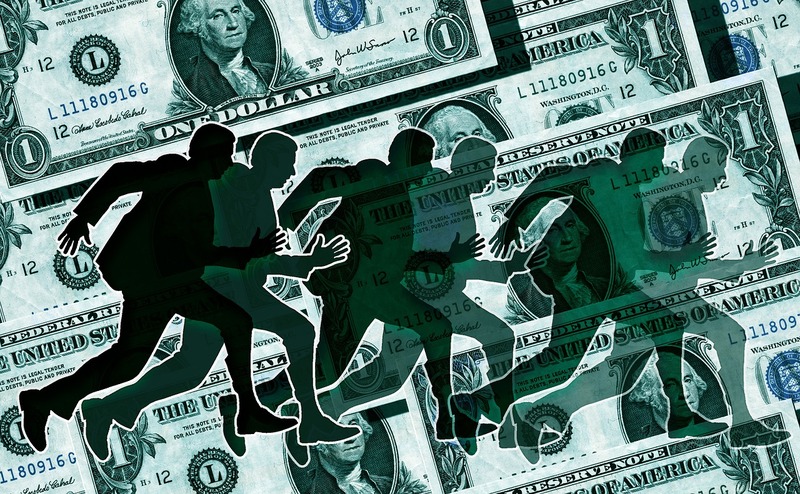 A loan not backed by any government sponsor and instead insured by private companies. 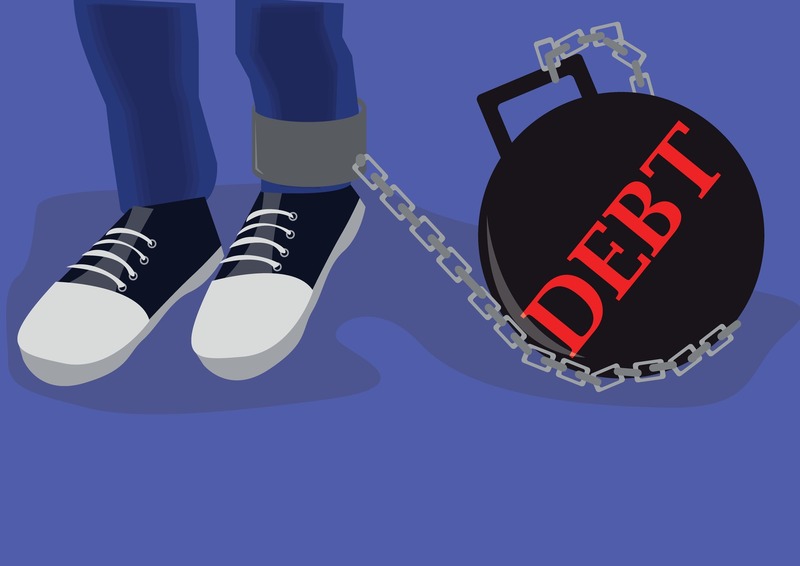 Due to higher risk with these loans, credit standards and down payment requirements are more strict than found with government sponsored loans. These loans must comply with guidelines set out by Fannie Mae. PMI will have to be paid where the down payments is less than 20%. An account setup by the lender to hold money for payment of home insurance and property taxes. Escrow accounts are generally required when you are putting down less than 20% towards the purchase of your home. If you are putting down more than 20%, an escrow account may be optional depending on lender requirements. Keep in mind the monthly payment for under your mortgage bill will be larger if you are also putting in money into an escrow account. If after the sale of your home and paying off the mortgage and remaining money in the escrow account will be returned to the borrower. Federal National Mortgage Association is a government sponsored entity whose main purpose is to help the secondary mortgage market. Fannie Mae’s main purpose is to provide liquidity to the mortgage market. Fannie Mae provides liquidity to the mortgage market by purchasing mortgages and mortgage backed securities sold to them from mortgage lenders. A government sponsored loan guaranteed by the Federal Housing Administration. Due to government backing, the lending standards for FHA loans are not as strict with down payments as low as 3.5% and lower credit rating requirements. Mortgage Insurance Premiums (MIP) are required to be paid if the home down payment is less than 20%. A mortgage whose interest rate will not change during the payback period. Federal Home Loan Mortgage Corporation is a government sponsored entity whose main purpose is to help the secondary mortgage market. Freddie Mac purchases mortgages on the secondary market and packages them up for resale to investors on the open market. This allows the mortgage market to be more liquid by freeing up money for additional lending. A situation that occurs when the borrower is unable to pay back the mortgage and as a result a legal proceeding is begun for the lender to obtain title and possession of the home upon which the mortgage is secured. Upon sale of the house the court will return money that was owed to the mortgage to the lender and if there is any extra money collected from the sale that is above what was owed that amount is to be returned to the borrower. Home Equity Line of Credit (HELOC) or a Home Equity loan is money borrowed by offering up as collateral the equity in your home. These loans are often used to fund home improvements, debt repayments, and more. A Jumbo Mortgage is a mortgage that exceeds limits imposed by Fannie Mae and Freddie Mac. The current Jumbo Mortgage limit is $417,000 in most parts of the U.S. and $625,500 in 100 high cost counties within the US. Since there is no government backing for these loans the requirements to obtain these loans are much higher in terms of down payment, credit rating and more. This is a number that represents the ratio of the total loan compared to the value of the home. LTV is used to determine when PMI should be paid or can stop being paid and is looked at by lenders when taking out a second mortgage on a home or when taking out a Home Equity Line of Credit (HELOC) on the home. A Mortgage Payoff Statement is a document from your lender that will tell you how much you need to pay off on your mortgage. Usually needed when selling your home, the mortgage payoff statement will include the remaining principal owed on the loan and any interest accrued up through the date of payoff. P&I will be your normal monthly mortgage payment excluding escrow account payments if any. is mortgage insurance for conventional loans where less than 20% has been put down to purchase the home. A Reverse Mortgage is a mortgage whereby the equity in a home is converted into cash for the benefit of the homeowner. Reserved for people 62 or older, the money can be used to supplement income needs during retirement. The amount owed on the mortgage remains with the house and will have to be paid off upon sale of the home. When a homeowner decides they must sell their home but know they will not be able to get enough money for the home through a market based sale to cover the loan. In order to proceed with a short sale the homeowner will request from their mortgage lender authorization to sell the home in a short sale. If more than one mortgage has been taken out on the home or there is a home equity loan, additional approvals may be needed from the other lenders. As part of the short sale the lenders are agreeing to accept less than the full amount (whatever the home will sell for on the open market) owed on the mortgage. A short sale is usually a long and drawn out process that does not always result in a home selling. The homeowner is still required to pay mortgage payments while the home is on the market. Depending on the state you live in and the agreement you have with the lender you still may be liable for amounts that were not fully paid back. Consulting with an attorney or credit counselor is advisable when pursuing a short sale. U.S. Department of Agriculture backed mortgage. The USDA mortgage is limited to homes within certain rural areas and also has income limits. If your income is above the limit specified by the USDA you will not be able to qualify for this type of loan. See http://eligibility.sc.egov.usda.gov/eligibility/welcomeAction.do for more information. A government sponsored mortgage guaranteed by the Veterans Administration and only available to active US service members, veterans and their spouses. Requirements for these government backed mortgages are not as strict as Conventional Mortgage requirements in that no down payment is required and credit score requirements are not as strict. Understanding mortgage terminology helps you to better understand about the mortgage process and makes you a better educated consumer when it comes time to borrow money to purchase a home or to pay off your home loan upon sale. By being familiar with the process and the terms involved you can make sure your needs are met and that you are getting the best deal possible for you. 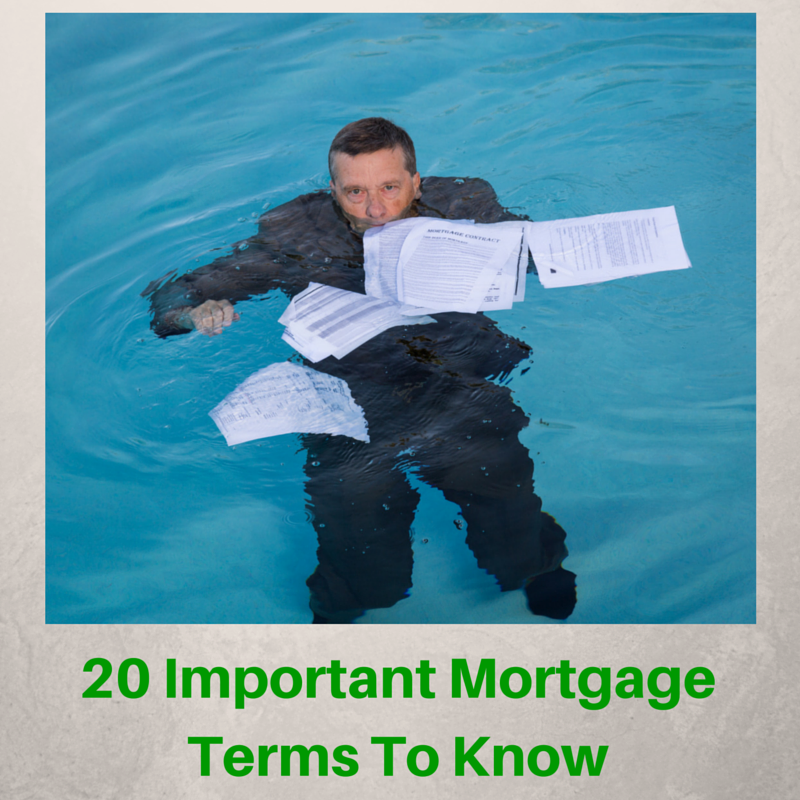 About the author: The above article “20 Important Mortgage Terms To Know” was provided by Paul Sian. Paul can be reached at paul.sian@herrealtors.com or by phone at 513-560-8002. With over 10+ years experience, if you’re thinking of selling or buying, I would love to share my marketing knowledge and expertise.